Very Good. Trade paperback (US). Glued binding. 362 p. More than 27 million Americans today can trace their lineage to the Scots, whose bloodline was stained by centuries of continuous warfare along the border between England and Scotland, and later in the bitter settlements of England's Ulster Plantation in Northern Ireland. Good. Trade paperback (US). Glued binding. 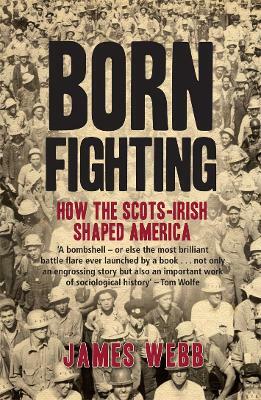 362 p. More than 27 million Americans today can trace their lineage to the Scots, whose bloodline was stained by centuries of continuous warfare along the border between England and Scotland, and later in the bitter settlements of England's Ulster Plantation in Northern Ireland. This is a hard cover book: This item is fairly worn but is functional. It could have cosmetic wear such as highlighting/writing, folded pages, corner curls or cover damage. The book may be personalized and could contain page markers or stickers. Accessories such as CD's, codes, and dust jackets etc. may not be included. This book has many years of enjoyment left in the pages. We ship Monday-Saturday and respond to inquries within 24 hours. Gives new insight into the foundations of our country as influenced by Scots-Irish immigrants and their personal experiences and ideals. What is not included to any extent is their influence on the Eastern Shore of Maryland, Delaware and Virginia, but the overall idea can be applied to this area as well. Easy to read. Mr. Webb lays to rest a lot of "revisionist" history with this book. Too bad it is not required reading in high school and college curriculum. People would better understand the corruption in government that we have had for 150 years. a very personalized history of the Socts/Irish migration to the new world and their influence upon the American way of life. Webb speaks from the Southern perspective and from his experiences in battle and in Congress.